The winery was founded in the 1870s by King Vittorio Emanuel II of Savoy and named for his son (with Countess Bela Rosin), Emanuele, Count of Mirafiore within the Fontanafredda village in Serralunga d'Alba. 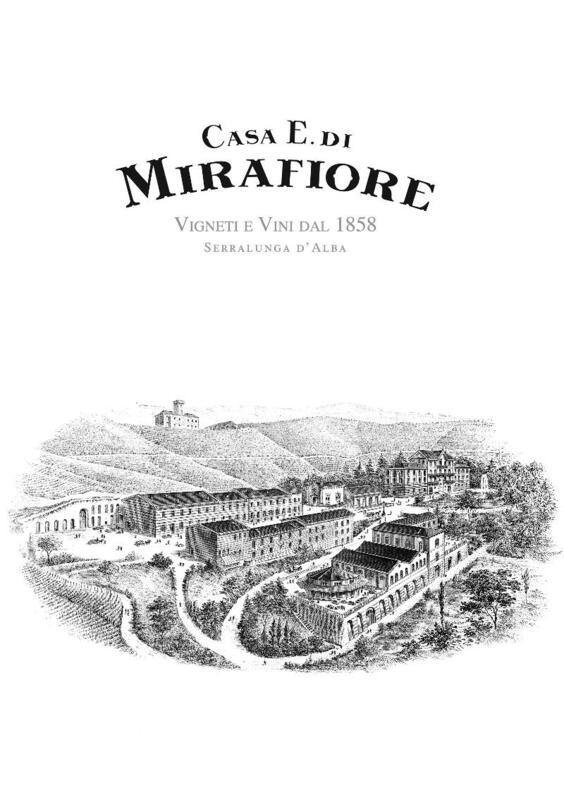 The name was lost from the estate in the 1940s and passed through several owners until Oscar Farinetti bought the Mirafiore name once again. The wines of Casa E. di Mirafiore are made exclusively from the traditional varieties of the Langhe. Respected winemaker Danilo Drocco follows traditional Piemontese vinification practices including long maceration and aging in large oak casks. The essence of Casa E. di Mirafiore comes to life at the estate in the Fondazione E. di Mirafiore, which includes a restaurant, library, and theater where the winery hosts poetry, music, and speaking events. Wine Spctator 93"Bright floral and cherry aromas are followed by fresh fruit flavors, with shades of leather, tar and underbrush. The tannins are firm, offering lively acidity and woodsy notes of tar and mineral on the aftertaste. Best from 2021 through 2037. 2,500 cases made." ~B.S.